Not only that, the International Space Station just travelled its 1.5 billionth mile at the start of November. 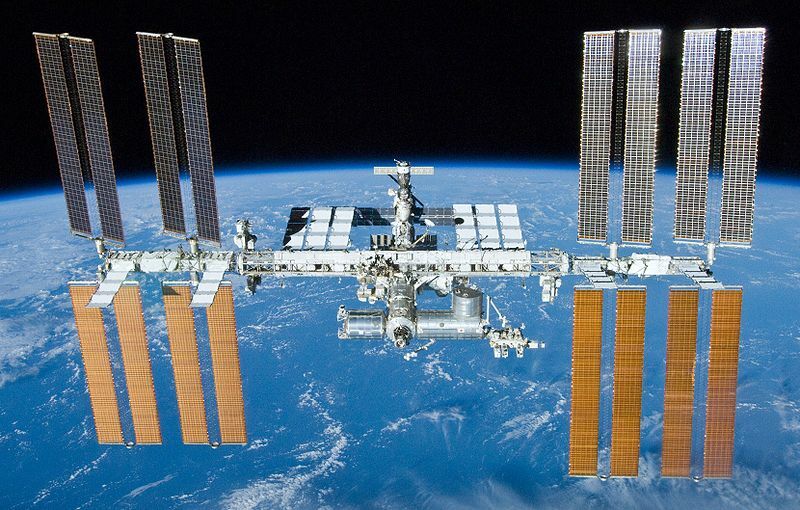 Yet despite its huge achievements in the name of human ingenuity, many would argue the space station has been a waste of money, resources and time. Originally designed to host a huge range of scientific experiments, gradually as the years have dragged on, the research has had to be scaled back, allowing for the budget to cover the amount needed just to complete the construction of the ISS. At present, £62billion has been spent on the project – making it the most expensive object ever built. This is one of the great examples of why astronomy is cool. The photograph was taken earlier this month using the Solar Dynamic Observatory (SDO), and shows the moon transiting the Sun in a pretty spectacular way. Unfortunately, the only one to see it was the un-manned SDO satellite. Fortunately, it snapped a couple of photos for all of us. The satellite orbits the Earth at a distance of 36,000km, and so was perfectly placed to witness the partial eclipse. NASA have also released a movie of the transit which is pretty cool. It even shows the Sun’s rotation. Definitely worth a look. Two weeks ago, we learned of an exciting new discovery in our galaxy. 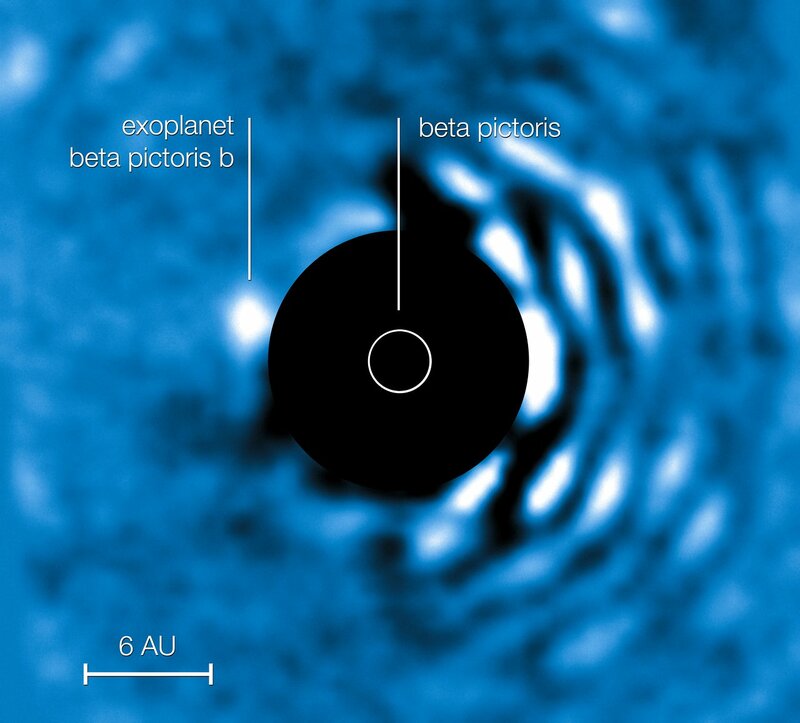 The first sign of a possible Goldilocks planet orbiting one of our closest stellar neighbours. Not too hot and not too cold, with the possibility of liquid water, Gliese 581g was the sixth planet found to be orbiting the nearby star. The planet was reported to be three times larger than the Earth, sitting in a tidally locked orbit right in the middle of the habitable zone. Today, Mars has an almost non-existent atmosphere. Just a few heavier molecules that are clung on to by the planet’s weak gravity. Nothing even close to what we so deeply rely upon here on Earth. But, we now know that this may not have always been the case. Following the planet’s turbulent formation, an atmosphere would have existed, and possibly even liquid water. But alas, the red planet was not quite massive enough to hold onto whatever atmosphere it had, and gradually it drifted away into space; first the hydrogen, then the helium, and then the rest, taking along with it any indications of what may have been. There has been a lot of talk about science journalism this week. When I read Martin Robbins article on The Lay Scientist a couple of weeks ago, I was surprised by the attention the article received. In a world of churnalism, science reporters can be some of the worst offenders. Lack of time, and in some instances just for the ease, press releases are simply cut and pasted directly into a news article. The emphasis being on speed. It’s nothing we haven’t heard before. But here’s where we need to get specific. Martin Robbins was writing about science reporting and the boring template that is regurgitated again and again by reporters who have no time to defy the inverted pyramid. Science journalism is a whole different kettle of fish. Good feature articles written by excellent science journalists continues to be the case online, in print and even occasionally in television. So, I see where Martin Robbins is coming from and I agree that the inverted pyramid is predictable and boring. However, churnalism isn’t about to change, and science reporting isn’t the only place it happens, and maybe it’s just me, but I can deal with getting my news stories in a way that is efficient for a reporter, as long as I can read an interesting feature about it the next day.